Just like a lot of Hair Loss journeys Chris did not turn to Hair Loss Treatments initially when she noticed her hair loss and hair thinning. Her hair problems started showing 5 years ago after diagnosis and treatment for breast cancer. Chris’s genetic naturally hair was fine hair all her life so when she noticed her hair thinning and a bald patch developing she thought it should get better over time, but it didn’t so she started looking at Hair Loss Treatments. 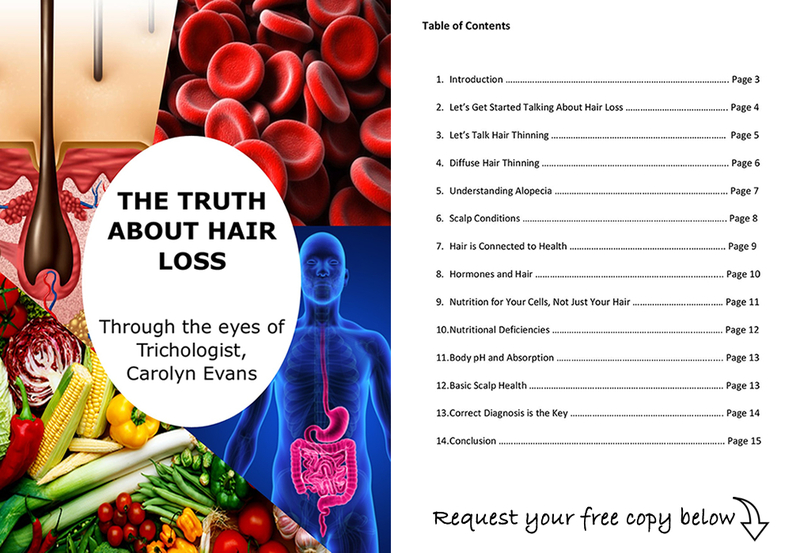 Chris used internet to look for a Hair Specialist (Trichologist) to confirm the condition of her scalp and find out about the lack of hair growth she was experiencing. Chris described her hair history and that she used hot rollers in the past to help add extra body to her naturally fine hair but since the chemo and changes to her hair the rollers were no longer helping. She said her hair was so thin now, has no body whatsoever and seems to get to a length and then stops growing altogether. Chris was also stressed that she could now see her scalp because her hair was see through. 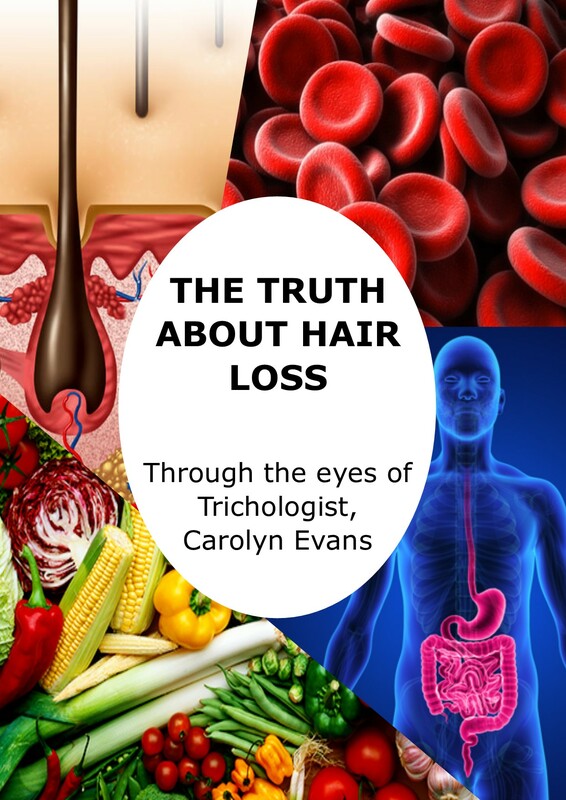 When Chris came to Absolique Hair Health Clinic Trichologist Carolyn Evans-Frost I.A.T. provided diagnosis of the Hair Loss and Hair Thinning using a powerful video microscope a ‘Hair Health Check’. The many problems found explained the extent of Hair Thinning Chris was experiencing, but in actual fact is good news. Why, because she did not have Hair Loss, her hair loss was from the past. Also to be considered Chris has children so has had Post Partum Alopecia (post pregnancy hair loss) diffuse hair loss. Chris’s hair was not growing properly but the empty follicles were still open to be seen with the microscope so were still alive, so there was still a chance for Hair Loss Treatments. The Hair Loss Treatment Chris embarked on was a 4 month combination correctional program addressing all of the causes and symptoms of Chris’s hair loss and hair thinning problems. We used a combination of in clinic hair loss treatments with homecare hair loss treatments for the duration of the program. Chris will continue with her HomeCare Hair Loss Treatments regime and will continue to see more improvement over time. If you need help with Hair Thinning or Hair Loss please contact Absolique Hair Health Clinic, we can help you by providing a professional diagnosis, Hair Loss Treatment plan and achieve healthy hair now and forever.